The new arrivals are live on the UGG website and there are some delicious new styles. I've picked my top three below, but there are more too - including wedge sandals and cosy looking moccasins. I've opted to highlight the site flat sandals, the amazing heeled boots, and my fave new twist on the classic sheepskin boots. No matter what your style is, if you are a fan of UGG boots then you know the quality and comfort that's guaranteed with every pair. This ladylike flat manages to be simultaneously sophisticated and sweet. Exotic scale-embossed suede forms a delicate almond toe, complemented by the veg tan leather heel and straps. With a whisper of a wedge, the Izabel Mar pairs well with all of your chic spring ensembles. Don’t be afraid to show a little ankle. Rendered in burnished, full-grain leather, this versatile style can be worn up or cuffed down for two distinctly different looks. Decorative pinking and seasonal, seaweed-inspired perforation put a feminine finish on the upper, complemented by a leather-wrapped stacked heel. Tasseled fringe puts a little swing in the Karisa’s boldly buckled step, serving as a fun accent to the leather ankle boot’s laser-cut reptilian pattern. Equal parts fashionable and functional, the feminine silhouette is made in Italy and boasts an Italian sheepskin lining and lightweight EVA outsole with exclusive UGG® Collection design. I have a long past history love affair with classic chelsea boots. I've normally gone with black or oxblood, but the major traits have always been the same. They must be high quality soft leather, boast a thick all-leather sole, and be stunning to look at. 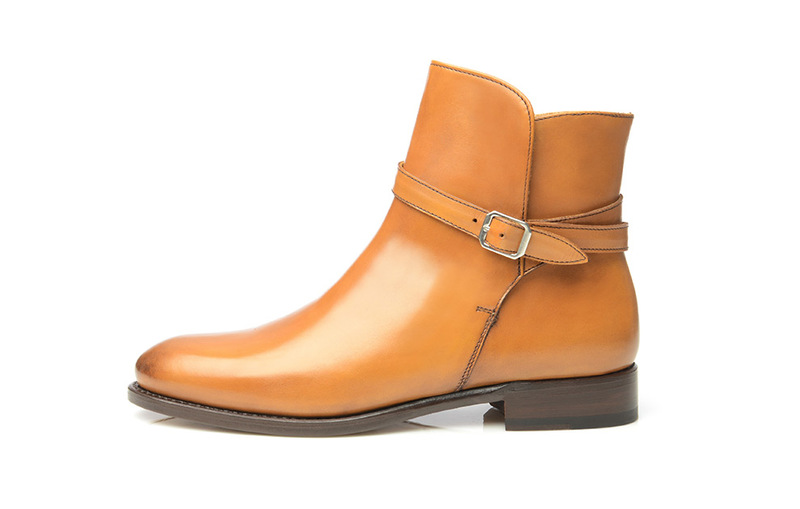 I think therefore, upon browsing ShoePassion.com this morning, I may just have found the Holy Grail of chelsea boots. No. 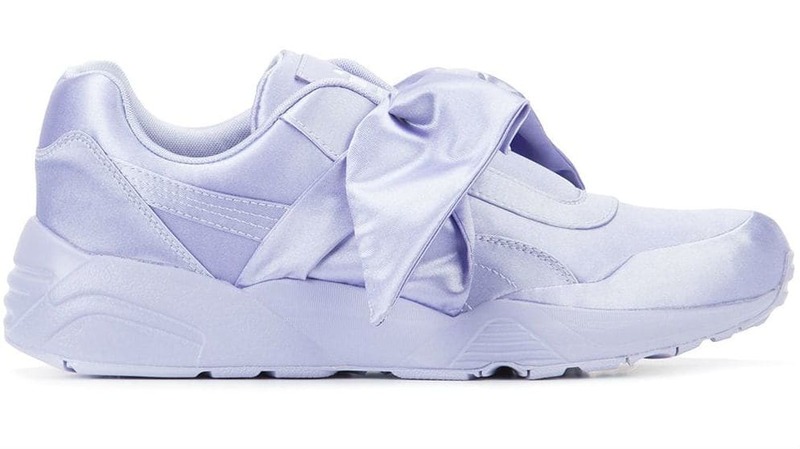 201 features a shaft that reaches just above the ankle, a flat heel, and cross straps that rise from the bottom of the shoe, wrap diagonally around the ankle, and ensure overall shoe fit. This women’s Jodhpur boot has a youthful charm that’s underscored by the cognac-coloured leather upper, made of the finest French calf. This so-called »fixed-strap Jodhpur« has its roots in British India. Even at such a far remove from their homeland, the British guard stationed in India couldn’t resist indulging in their favourite equestrian sport, polo. The tropical Indian climate was too warm for traditional riding boots, which led these soldiers to create boots with a shorter shaft. And thus the Jodhpur was born—it was most likely named for the Maharaja of Jodhpur. 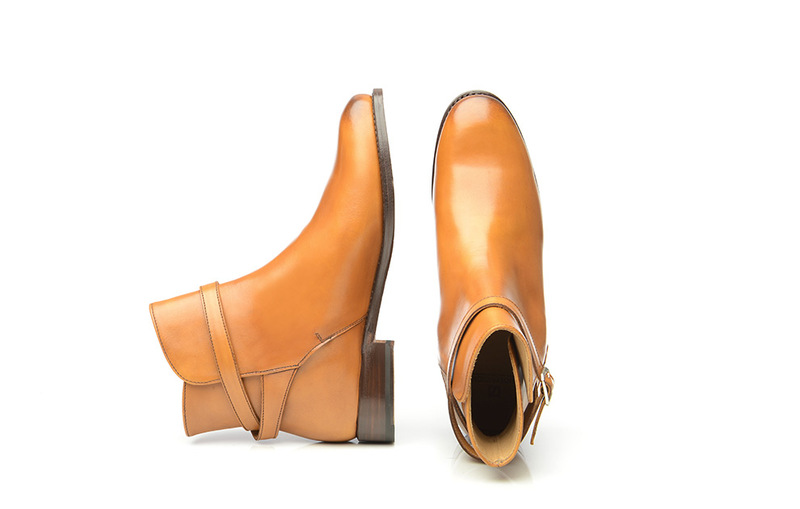 Although the Jodhpur boot was originally conceived as a men’s shoe, No. 210 has been made using a feminine last form—namely, the classic last. 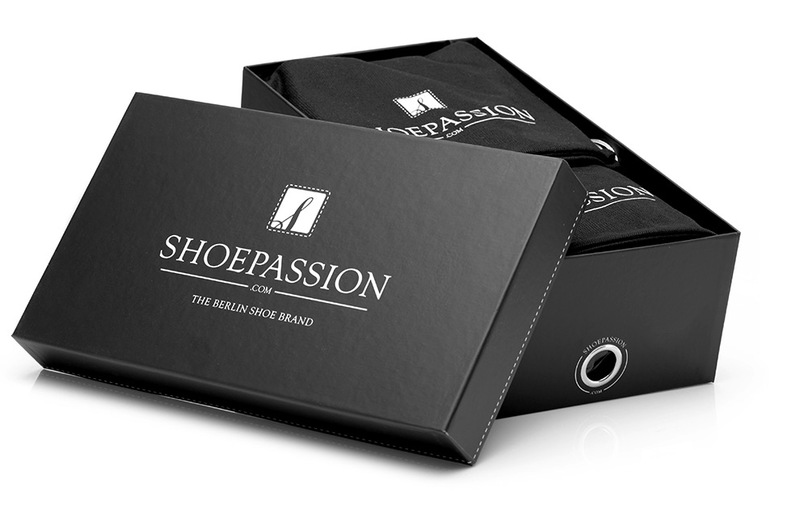 The rounded toe cap is sleek and elegant, and also makes for comfortable wear. 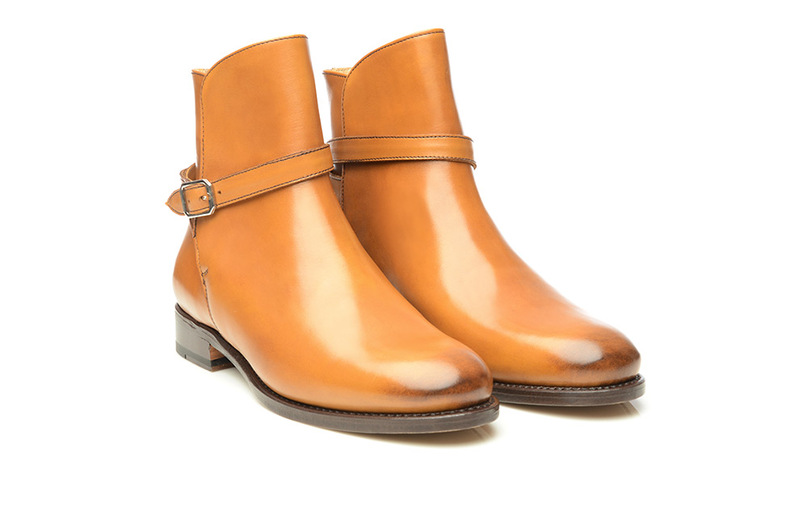 While the matte, gleaming upper is made entirely of fully-dyed cognac calf leather, the lining and insole are made of vegetable-tanned cowhide. Its high proportion of leather and Goodyear-welted construction make this women’s Jodhpur boot breathable, comfortable and extremely long-lasting. The crowning touch: a Rendenbach leather sole, widely considered the best in the world, as well as a Rendenbach heel. No. 201 is an excellent choice for leisure activities—it’s a great match for skinny jeans, which highlight the cross straps and buckle closure. 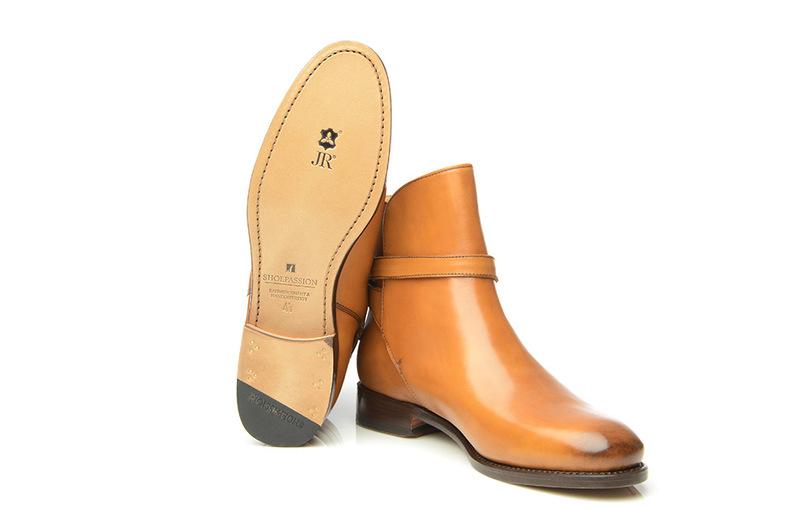 This women’s Jodhpur boot can also be worn to offices that don’t have particularly strict dress codes. When worn with wide-leg trousers, this boot looks just like a typical flat shoe. I wanted to share with you the softest, cosiest and squishiest new thing that I own. 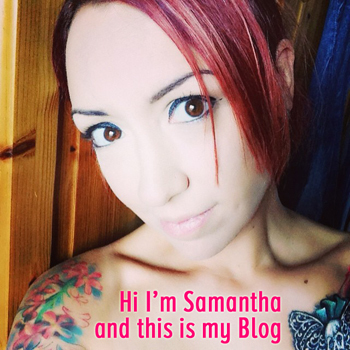 Normally I spend my time in leather, silk, funky leggings and heels. But when it comes to comfort I am all about slipping into an 'All in One Company' onesie, or great quality comfortable clothing. The Superdry 'Saints' hoodie, that features a ton of gorgeous sparkling applique embroidery, is a Mother's Day gift I got this year and I'm sad to say that the pictures don't do it justice. It looks bright here, but it's actually practically neon. The colour in real life is almost identical to the pink iPhone 5C. The hood is oversized, and the whole thing is really cosy and puffy. I'd recommend grabbing this if you love comfy clothes for evenings, and want a soft hoodie to take you through Spring. This hasn't hit my local Southampton store (yet) so it had to be ordered in, but you can buy it online for £59.99. Superdry women's Saints Applique Hoodie. A classic zip up hoodie, featuring a drawstring hood, two front pockets and an embroidered chest logo. The hoodie is finished with a large embroidered Superdry logo down one sleeve and a logo patch on the front pocket. Welcome to the Dress Edit from Miss Selfridge (quite possibly our favourite section in the wardrobe)! You can shop the entire Dress Edit by clicking the top banner, or see below for my own personal picks. As you probably know unless you are new (and if you are new then well hello - you are looking fabulous today - and welcome!) I love a bit of Urban Outfitters fashion. They have a 50% off sale online right now and I spotted a few must have items for spring. Take a look below to see what I picked out or else just click the top image to see the entire on sale selection for women. This playsuit by Urban Outfitters exclusive label Staring at Stars is built with a relaxed slouch fit and open-back detailing for laid-back style with a raw edge. This top by Urban Outfitters exclusive label Light Before Dark is a clean minimalist style featuring a ribbed fabric to the front body with contrast raglan sleeve detailing. The Surplice Kimono top by Urban Outfitters exclusive label Light Before Dark draws inspiration from classic Japanese sources with floaty sleeves and a single button fastening to the front.